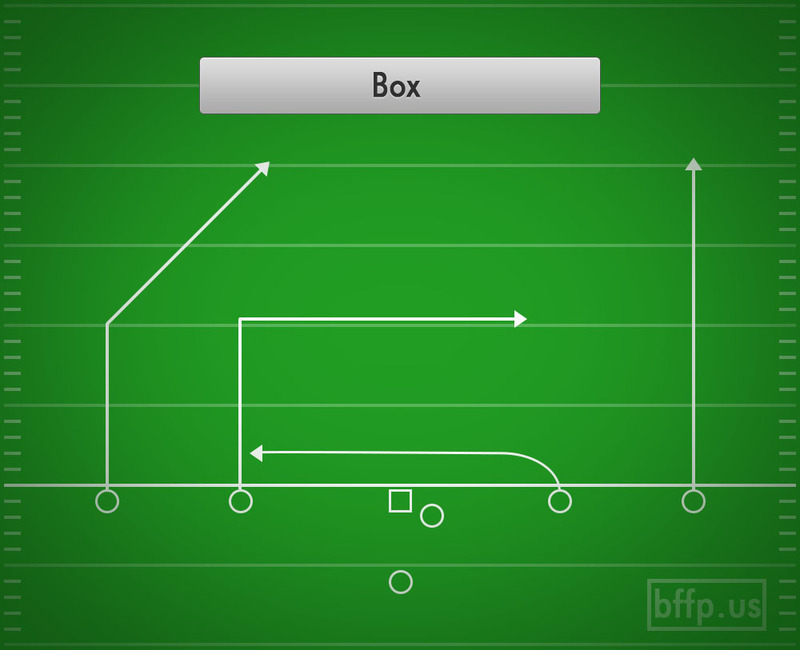 The Box play allows you to trap the defense into having to make a high/low decision. 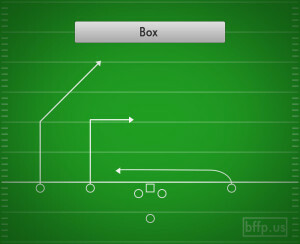 In fact, there are two different high/low areas on the defense that this play attacks. 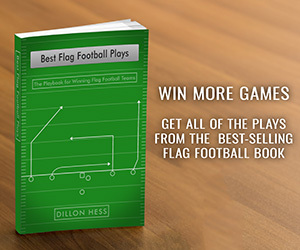 By singling out the safety, the Quarterback can make a “high/low” read based upon the combination of the Post route and the 10 yard In route. 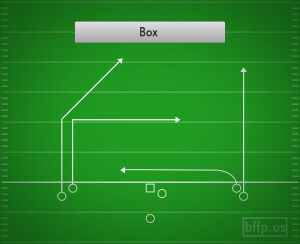 If the safety drops high to guard the Post, then throw it low to the In route. If the safety stays low on the In, then throw it high to the Post. 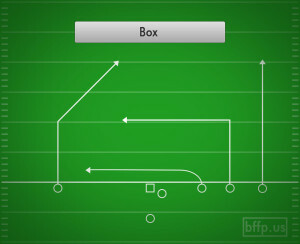 Additionally, another high/low read takes place at the level of the outside linebacker. The linebacker will have to make the decision to go high and guard the In route, or stay low and guard the Shallow Cross. 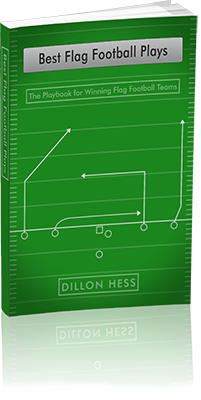 The Quarterback’s read progression should start by reading the Safety on the Post, and then moving down to the In route, and finally hitting the lowest shallow cross underneath, if everything higher is guarded.